Time to spring into action: Daylight saving time is upon us. 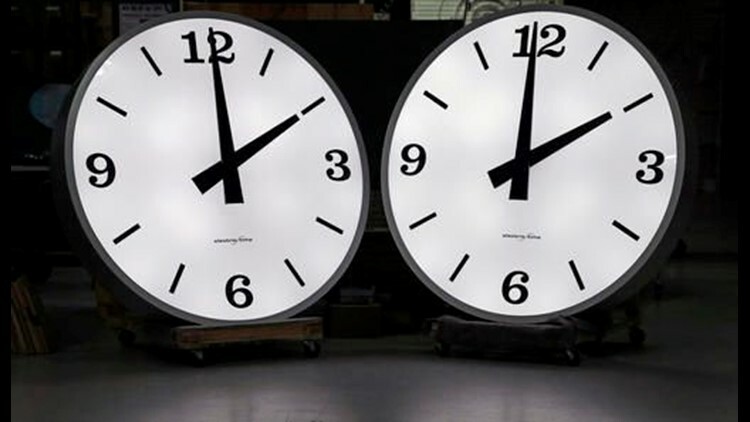 WASHINGTON (AP) — Time to spring into action: Daylight saving time is upon us. Maybe it'll be a bit harder to drag yourself out of bed Sunday after losing an hour's sleep Saturday night. But there'll be an extra hour of sunlight in the evening in the months ahead to play ball, take a walk and enjoy the outdoors. The time change officially starts Sunday at 2 a.m. local time, so consider setting clocks ahead by 60 minutes before hitting the hay Saturday night. It's also a good time to put new batteries in warning devices such as smoke detectors and hazard warning radios — and again, when standard time returns Nov. 6. No time change in Hawaii, most of Arizona, Puerto Rico, the Virgin Islands, American Samoa, Guam and the Northern Marianas.